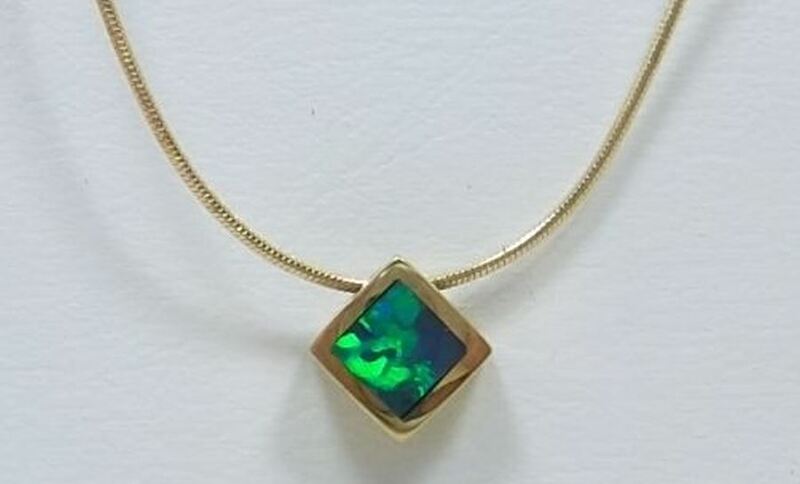 ﻿ Opal and Gold Pendant - SAVE $300 ! Solid opal slider pendant in an 18k Gold mount with an 18k Gold snake chain 430 mm long. 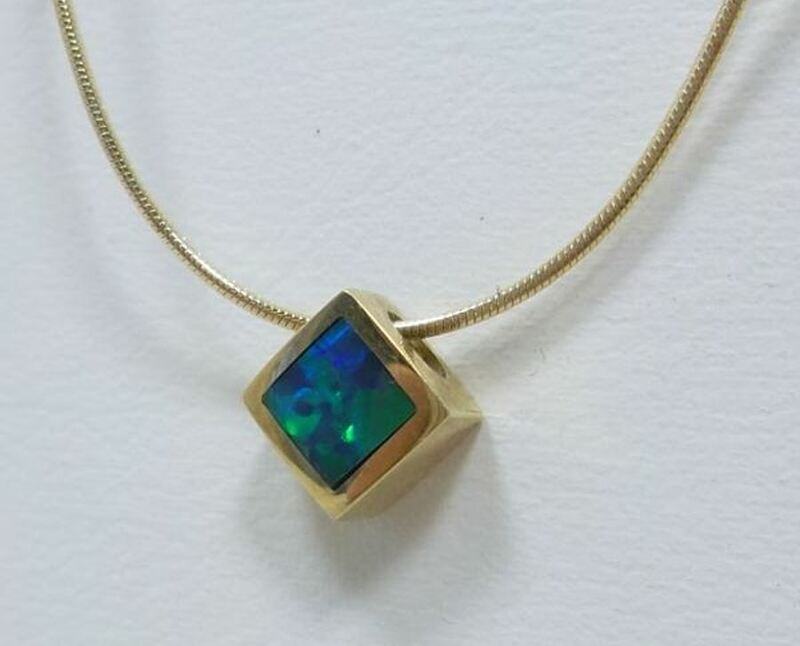 Hallmarked "750"
18kt Gold frames the gorgeous colours of gem opal in this elegant slider pendant. The setting is 6.5mm square. Beautiful plays of green and blue.